My best friend Sarah and I took a trip to Walt Disney World’s Magic Kingdom for the Mickey’s Not So Scary Halloween Party in early September. We decided in July we were going at Fix-it Felix and Wreck-it Ralph. The cost of the party and hotel was cheaper, due to the early planning on our part and the fact we went to one of the earliest parties. We left West Palm Beach at around 11am on a Friday and arrived to Orlando at around 2pm. We ate at a McDonald’s on Disney property located near the value resorts. We then checked into our room at All-Star Music. We were in the Broadway section. We relaxed about an hour and got ready in our room. After we donned our costumes, we headed past the piano and guitar shaped pools and towards the bus stop! We probably stood there outside in the heat for 20 minutes waiting for the thing, all the while people staring at us in our costumes as if they had never seen young adults in costume before. We got into the park by 4, since if you buy a party ticket you can enter the park anytime after 4. We met a friend who graduated from our college and now works at Disney, and off the three of us went to ride The Voyage of the Little Mermaid. 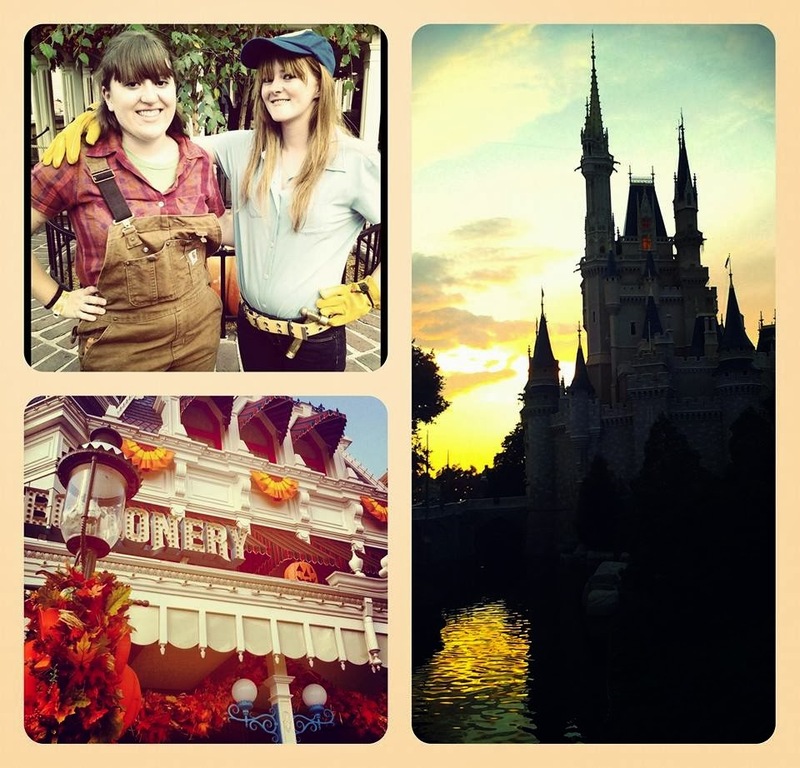 Just being there in costume with my best friend and seeing the fall decorations was magical, indeed. Our other friend had not been on a lot of the rides at Magic Kingdom, so we took her on Space Mountain, Pirates of the Caribbean, and The Haunted Mansion. Surprisingly, she was not a fan of Pirates… WHO ISN’T A FAN OF PIRATES?! I was dumbfounded. We got Dole whip, and then 7pm rolled around and we had to say goodbye to our friend, who did not buy a party ticket. Sarah had been to many MNSSHPs in the past, including just last year in 2012, so I let her decide what we should do in order. We attended the first Villain Mix and Mingle, and that was definitely a show worth seeing. There was so much chaos when the villains came out to mingle, however, that we couldn’t get in line to see Maleficent (a priority character to meet for us). Therefore, we settled for The Evil Queen and Dr. Facillier, and decided to come back for the second party to see her. 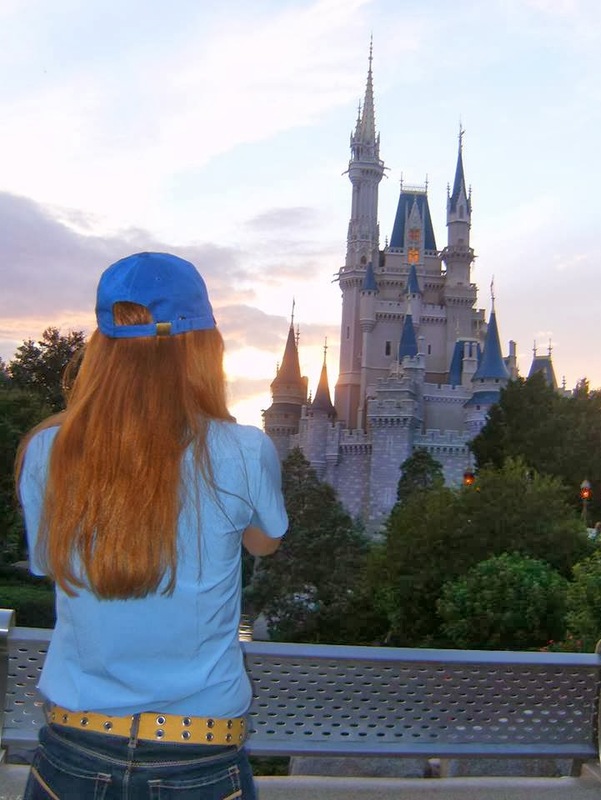 We made a note that she came down from the far left side of the castle, so we stood there during the second showing and were first in line to see her. The second showing of the Villains Mix and Mingle was going to be right after the Boo To You parade, so we got standing spots for that after the first showing. We were right near the end of the parade. I recorded some of the start of the parade on my phone. Seeing characters was our top priority for the night, so we scouted out the characters I have not seen before (she’s taken pictures with literally every character ever, except maybe Hades). We got in line to see Jane, Tarzan, and Turk. Unfortunately, Tarzan left as we were about fourth in line. Apparently, some people like to take up to over 5 minutes talking to characters, even though they know the line is long and we all want to see them just as much! At least we still got pictures with Jane and Turk. We headed over to where Captain Jack Sparrow was and waited in line for him for about 20 minutes. We wanted to ride a Big Thunder at night, and the line was only 5 minutes, so we did that. After that, we went to some candy trails in Adventureland and Fantasyland. We wanted to ride The Haunted Mansion again, so we headed over to do that. Eventually, midnight was sneaking up on us and so we ducked into Mickey’s PhilharMagic at 11:50 or so. We waited for about 15 minutes to enter the theater, and when we got out it was almost 12:30. That was one of the best parts of the night, missing the crowds exit and being some of the only ones left in the park. We took a few more pictures in front of the castle and on Main Street on our way out. It was so cool seeing Main Street empty at night, with music still playing. The bus we took back to All-Star Music was empty, as well. I hate large crowds, so that was a relief for me. We both got back to the hotel room at around 1am. The next morning we got up around 8:45 and went to the Piano pool to swim a bit. After about 30 minutes, we left and got dressed and ready to check out of our room. Then we meandered in the arcade and played a few games. 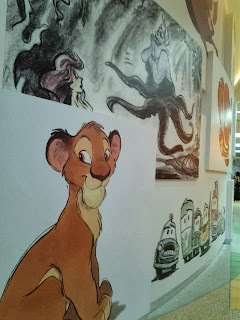 Our next stop was going to be the Art of Animation Resort to look around and eat there. For some reason, my contacts were really bothering me when we were walking around the resort, and my eyes were watering a lot. I had Sarah guide me around the gift shop. They felt a bit better when we were outside (surprisingly). Then we drove to Downtown Disney to shop, but Sarah’s knee and my eyes were bothering us so much we didn’t stay very long (sad face). We bought some stuff in the Disney Store (antenna toppers, pins, and mugs), and then headed home. 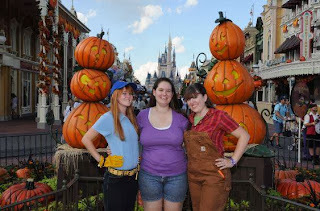 All in all, the weekend was magical and amazing I cannot wait for next year’s MNSSHP! Have you gotten to experience Walt Disney World's frightfully fun celebration (you lucky duck, you!)? What are your tips for an unforgettable evening?